As violence continues in South Sudan, attention has come to be focused on Bor and Jonglei state. It is not surprising. This is a region that has played a key role in the history of the country—and the church. 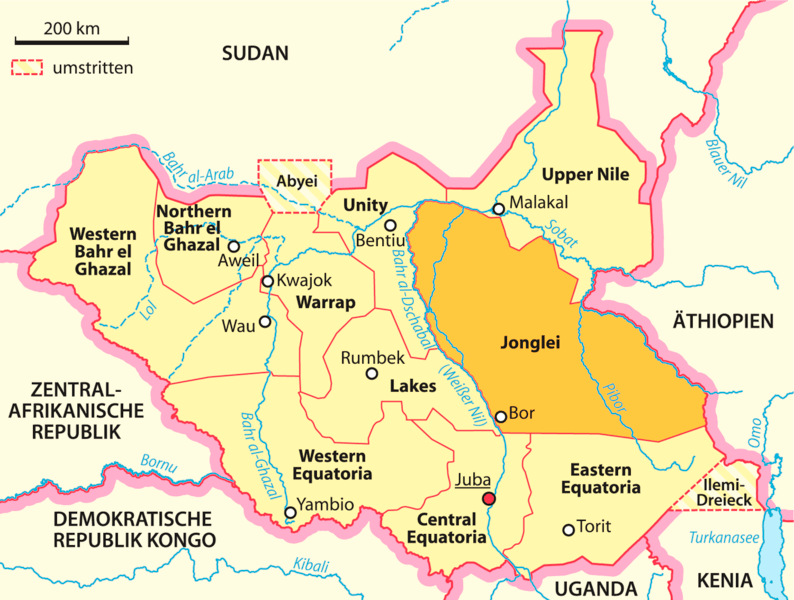 As events continue to unfold there, they are sure to continue to shape the country and the church The region that is now Jonglei state has long had a variety of ethnicities—Dinka, Nuer, Murle, and others. While it is tempting for outsiders to see these as fixed, concrete, “tribal” identities, it seems more likely that before the colonial period the boundaries between ethnicities were fluid and shifting. Dinka and Nuer, for instance, had much in common in terms of religion, language, etc. It was the British colonialists who insisted on fixing identities more firmly because it made them easier to rule. Sudan’s second civil war more or less began with an army mutiny at Bor in 1983. In 1991, the rebel Sudan People’s Liberation Army, which had grown out of that 1983 mutiny, split. The leader of the breakaway faction was Riak Machar, who has become a key player in the confusing events of the past week. In November 1991, with the support of the Khartoum government, his forces unleashed what became known as the “Bor Massacre,” in which several thousand Dinka around Bor were killed and hundreds of thousands displaced into an international Dinka diaspora that persists to this day. This event, more than any other, politicized ethnic identities in Jonglei and resulted in factional violence that was the most catastrophic part of the civil war. The church has been present in the midst of all this history as well. The first Anglican mission station in southern Sudan was founded about six miles south of Bor, at a place called Malek, in 1906 among the Dinka. For a variety of reasons, the missionaries didn’t have much success. It wasn’t until 1984 that an Anglican bishop was consecrated for Bor. 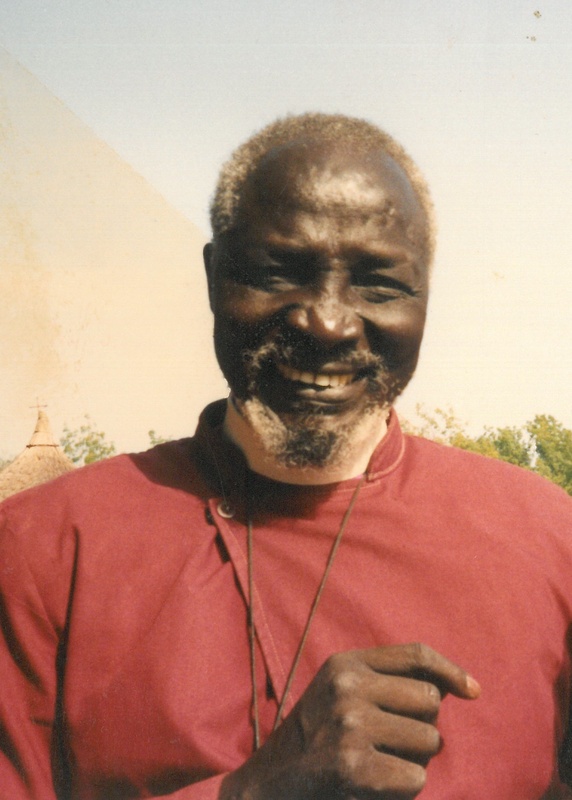 His name was Nathaniel Garang Anyieth and shortly after his consecration, Bor was attacked by the Khartoum government. Bor essentially emptied, as its residents fled for safety to their home villages or into the deep and inaccessible marshes along the Nile River. Bishop Nathaniel was among those who fled. For the next five or six years, he moved among his people in these rural areas, cut off from the world but ministering all the same. At Lambeth 1988, he was referred to as the “Lost Bishop” because no one knew what had happened to him. Finally, in 1990, he was able to re-establish contact with the outside world—and he had quite the story to tell. The Dinka had turned to Christianity in great numbers and he had been baptizing, training, and ordaining just about as fast as he could. In the 1990s, the church began what was known as the People-to-People peace process. Only the church was trusted to bring together grassroots Dinka and Nuer leaders to address conflicts and work towards reconciliation. These conferences are widely recognized as significantly reducing inter-communal violence and setting the stage of Riak Machar’s eventual reconciliation with the SPLA and his integration into the government of the new country. All of this is background to the events of the past week. I spent much of April in Bor and Jonglei and have this week been trying to call people I know—with little success, as cell phones batteries appear to have run out. I have, however, managed to speak with people not in Jonglei but who have heard from those who are there. People are reported to be fleeing Bor to their villages and across the Nile—just as they have done in the past. What we desperately don’t want is another civil war with Bor at its centre. 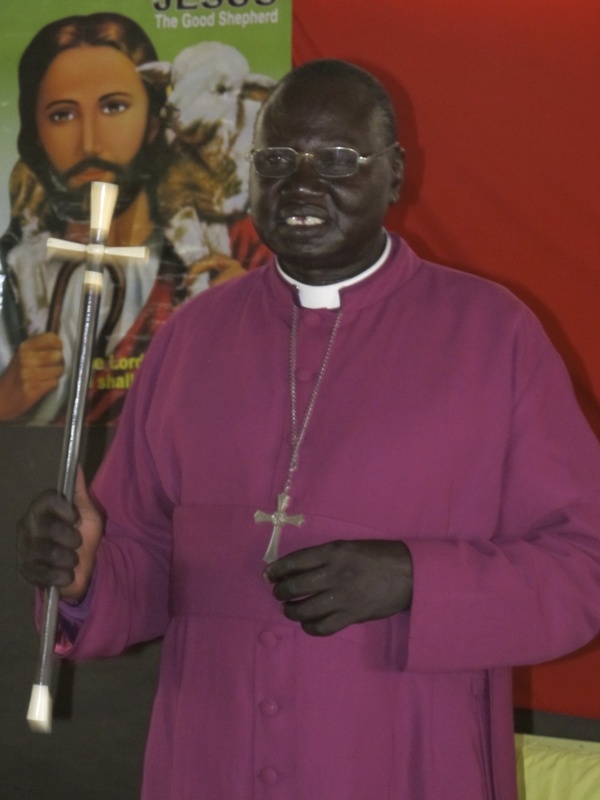 The Anglican archbishop, Daniel Deng Bul (who is from Jonglei), this year was appointed to chair a national peace and reconciliation commission. Shortly before this week’s violence broke out, that commission released an exciting update on their work. Given the church’s history of peace-building, it seems like they have ever chance of succeeding—if supported and given the opportunity. But South Sudan’s leaders seem intent on ruining the chance for reconciliation before the work can even begin. Just as I was finishing this post, I came across this video from the UN compound in Bor. It is situations like these that are the setting for the profoundly incarnational ministry of the church in South Sudan.